St. Cloud home buying activity may be going great guns, but for some would-be buyers, credit score woes are still a stubborn obstacle. That’s why we have been keeping an eye on the new pilot project that was announced late last year. This was the one called the "Wealth Building Home Loan." It’s an experiment aimed at opening up home ownership options, particularly for first time home buyers. Bank of America and Citibank were first to sign up for the program, said to “take a fresh approach to affordable mortgage lending.” It sounds like a pretty good idea! The Wealth Building Home Loan is a mortgage that runs for 15 years at a fixed interest rate. Because the term is so short, equity builds rapidly. The payments are more manageable than any reality-grounded St. 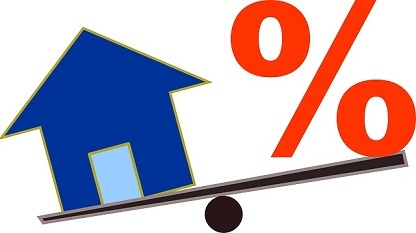 Cloud mortgage watcher would think because discount points can be used to buy the interest rate down to…well, “zero”! Since no down payment is generally required, home buyers can apply their available cash to purchasing those points. Since that sounds almost too good to be true, we’ve been keeping an eye open for progress reports. The loan program is piloted through The Neighborhood Assistance Corporation of America, which secured underwriting from BofA and Citibank. It’s intended to be "a game changer,” because equity ownership takes place rapidly. Already in the first three years of a WBHL, 77% of the monthly payments pay off the principal, rather than the 68% that goes to interest under a standard 30-year mortgage. The effect is to accumulate a significant ownership stake almost from the word ‘go’—and more ownership equates to better loan performance. In the meantime, St. Cloud mortgage-seekers have a wide variety of currently available options for taking advantage of the great buys viewable on this morning’s St. Cloud listings. Give me a call for a no-obligation discussion of how you can take advantage of today’s opportunities!